U.S. motor vessel Cape Ray departed Rota, Spain, this morning en route to the port of Gioia Tauro, Italy, where the ship will receive declared Syrian chemical weapons transferred from the Danish vessel Ark Futura, the U.S. Navy announced today in a press release. In a statement announcing the departure, Pentagon Press Secretary Navy Rear Adm. John Kirby said the transit to Italy is expected to take several days. 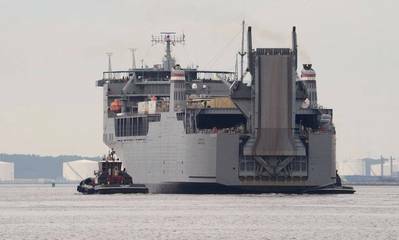 After the transfer is complete, the Cape Ray will depart Gioia Tauro for international waters to begin neutralization of the chemical agents using the embarked field deployable hydrolysis system, Kirby said. "Neutralization will be conducted in a safe and environmentally sound manner," he added. "Nothing from this operation will be released into the environment." The Cape Ray and the field-deployable hydrolysis system are part of the U.S. contribution to the Organization for the Prohibition of Chemical Weapons -- U.N. Joint Mission to eliminate Syria's declared chemical materials stockpile. 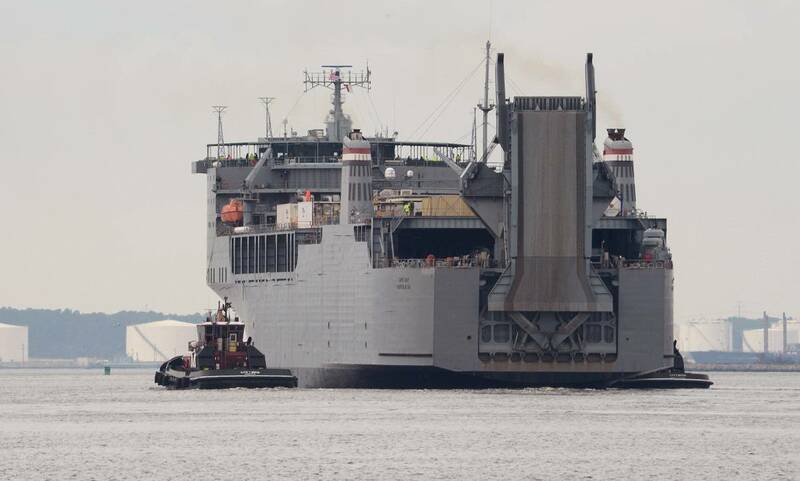 The vessel is part of the Transportation Department Maritime Administration's Ready Reserve Force program. "As [Defense Secretary Chuck Hagel] has made clear, we will work hard to destroy these materials so they never again pose a threat to the Syrian people or America's allies in the region," Kirby said.